Claudia Vera, a board-certified physician assistant, graduated from the University of Central Florida where she earned her bachelor’s degree in health sciences. She completed her master of medical science at Nova Southeastern University’s physician assistant program in Orlando, Florida. Claudia knew that she wanted to pursue a career in medicine and was inspired by her mother before ultimately finding dermatology as her passion. 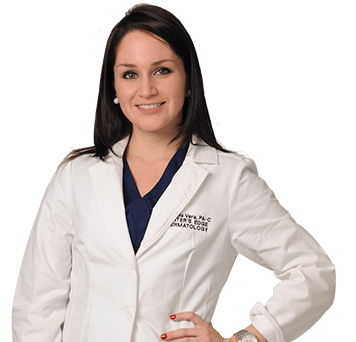 As a physician assistant, she specializes in various skin, hair, and nail disorders, and takes care and pride in the work she does.